Richard Lee Dikeman, 87, passed away peacefully on Thursday, July 28, 2016 at Blackhawk Assisted Living in Spring Hill, Kansas. Born in Roy, New Mexico, to Howard and Laura (Sallee) Dikeman, he lived most of his life in Oxford, Pennsylvania, and DeSoto, Kansas. Richard married Sarah Speck in 1947. They had a son, Michael. In 1957, he married Margaret Howell to whom he was married for 48 years until her death. They had two daughters, Donna and Wanda. Following his second retirement, he and Margaret moved to DeSoto, Kansas, to be closer to their daughters and their respective families. After Margaret passed away, he married Mary Bichelmeyer, who survives Richard. He is survived by his wife, Mary and a sister, Pauline Cremieux, from Washington. He is also survived by his children and their spouses: Michael Dikeman (Primrose), Donna Gunter (Terry), and Wanda Eby (Rob). His surviving grandchildren are Michael Dikeman, Robert Dikeman (Kristy), Mary Barbara Adams (Josh), Andrew Dikeman, Brandon Gunter, Trenton Gunter (Laureen), Saundra Chapman (Austin), Spencer Thompson, and Cameron Gunter. (Always a huge fan of baseball, he bragged that he had enough grandchildren for a baseball team.) He is also survived by ten great-grandchildren: Gracie, Jackson, Walter, Braeden, Carson, Henry, Daegan, Alayna, Abigail, and Brinley. Richard was preceded in death by both parents; his brother, Gerald; his wife, Margaret; and his sister, Barbara. 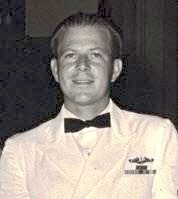 Richard served in the U.S. Navy for 20 years. The majority of that time was spent on submarines and he retired at age 37 as Senior Chief Radioman. He was always able to figure out how anything worked. Richard could not only build and repair virtually anything, he could also redesign machinery to serve new purposes. After retiring from the armed forces, he began working at KenneTex, Inc. in Kennett Square, Pennsylvania. After another 28-year career, he retired from that company as Plant Manager. Richard was a member of the Oxford Masonic Lodge #353 and served in the position of Worshipful Master during two separate years. He was active in the Christ Community Church of the Nazarene, Olathe, Kansas for many years. Richard enjoyed helping others and was always ready to lend a hand in any way he could to do so. He could strike up a conversation with anyone and those who knew him loved his easy-going personality. Alzheimer’s took his memories but he still had a zest for life and loved making people laugh to the very end. He gave extravagantly to many people during his lifetime-some were family and friends but some who merely crossed his path and were in need. He never expected anything in return. Our family and friends were blessed to have him in our lives and look forward to meeting him again when we are called home to Heaven. A Celebration of Life will be from 2-4 pm, Tuesday, August 2nd at McGilley & Frye Funeral Home, 105 E. Loula St, Olathe, KS 66061. In lieu of flowers memorial contributions may be made to the Alzheimer’s Association , 3846 West 75th Street, Prairie Village, KS 66208.